Austin, TX – One of the most eagerly awaited Prog albums of 2015 will be released in September by The Aaron Clift Experiment! Titled “Outer Light, Inner Darkness”, this is the second CD by the Austin ensemble and marks a musical plateau for the group with its intricate compositions, complex arrangements and virtuosic performances! 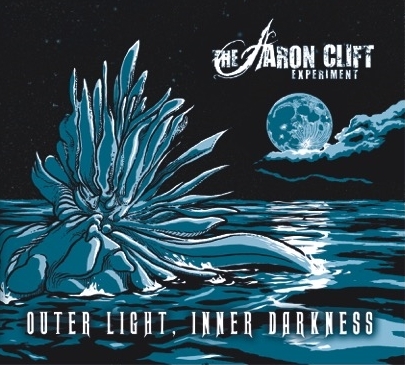 Just as scientists conduct experiments by using their knowledge to explore the unknown, The Aaron Clift Experiment combines elements of classic and cutting-edge music into an innovative whole. The band’s unique songs draw from a wide range of influences – from classic progressive rock acts like Genesis, Pink Floyd, and Rush to modern groups like Porcupine Tree and Opeth to classical and jazz composers like Beethoven, Schubert, and John Coltrane. Aside from its diversity, The Aaron Clift Experiment is dedicated to producing soulful, powerful music and an intense live show. In 2012, the band released its critically acclaimed debut album, “Lonely Hills,” to rave reviews from both fans and the music press and was named one of the best unsigned bands of 2013 by Prog Magazine. In support of the new CD release, The Aaron Clift Experiment is currently filming a music video for the album’s lead single, “Kissed by the Sun.” The video will debut in late August to coincide with their August 27 album release show in Austin. Next year, they’re looking to play some progressive rock festivals, particularly in Europe.